Let us manage your 2018 office footy tipping competition. Enter tips by reply email. More convenient than other Internet or web tipping. And its almost FREE!!! You send tips and award prizes - we do the scoring! only $1 per person per year (per 10 players) - register for free trial! 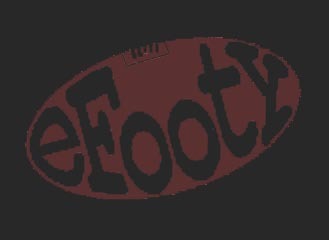 For a free trial just send a blank email here You will receive a tipping form to submit, plus further information about eFooty.